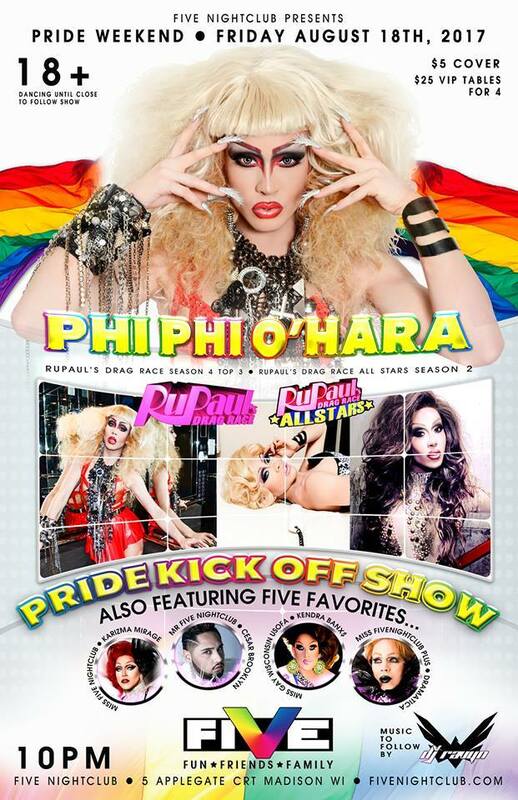 Friday, August 18th we kick things off with our Pride Kick Off Party featuring the one and only PHI PHI O’HARA from RuPaul’s Drag Race and AllStars2. 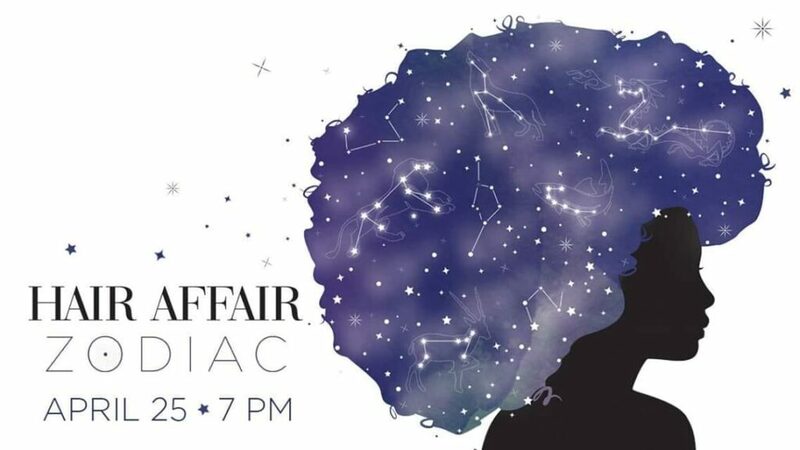 Things start at 10pm sharp with a show featuring Miss FIVE Nightclub Karizma Mirage, Miss FIVE Nightclub Plus Dramatica, Mr. FIVE Nightclub Cesar Brooklyn and Miss Gay Wisconsin USofA Kendra Banx$. Cover is ONLY $5 and starting next Tuesday at 1pm you can grab up one of only 16 VIP tables for $25 which includes 4 chairs and 4 drinks…any extra chairs are $10. Phone number for table reservations is 271-1768. After the show DJ Rayvn will provide the beats to kickoff you Madison Pride Weekend!! More to come? Stay tuned this week for details.